A global organization headquartered in Sydney, Australia, Wilcom has led the industry with ongoing innovations that push the boundaries of creativity in personalized expressions and apparel decoration. With a reputation for excellence, Wilcom has become the world's favourite embroidery software for quality, productivity, ease-of-use and service. 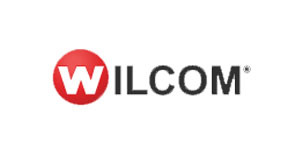 Today, Wilcom is present in over 100 countries with products in over 12 languages and has a global community of more than 250,000 licensed customers. Their growth has been fuelled by continual product innovation, new product development and more recently through joint ventures with strategically compatible partners or direct investment in emerging markets. Wilcom continues to enhance creativity in personalized expressions, by globally implementing best-of-breed solutions for textile impressions. The latest release of Wilcom's Embroidery Studio e4 suite has been a resounding global success. Incorporating CorelDRAW Graphics Suite for a complete multi-decoration solution, it has proven its tagline "Creative by nature. Efficient by design."